Andrew Boon posted 4th of March 2016 in Dolphin.pro News. 15 comments. The new DolphinPro is officially released. Once again we've adopted a real dolphin and used its name as a codename for the new version - Scooter. - Scooter is the result of significantly transformed and much more focused development policy. Planned for the 1st of March, it is only 4 days overdue and that's considering that it has had two Beta and an RC release. - The main new features - Dolphin Connect and Chat+ have been on the wish-list for a while and now they're setting stage for great new opportunities. In total v7.3 brings 61 documented enhancements! - Our recent push to adopt social coding is paying off. Scooter is the first Dolphin that's been developed in active collaboration with external developers. Thank you guys and gals for your contributions, reports and comments! - This version also brings a lot more consistency. Thanks to extensive testing and community feedback 110 bugs have been fixed. A lot has been improved in general UI flow, privacy handling, settings accuracy, design and cross-platform/screen/browser performance. In other words, it's a solid, well-tested update, with awesome new features and tune-ups. Download, Try, Update, Install, Enjoy! This is an official release. It is ready for production sites and is the current recommended stable package. All sites running on Boonex subscriptions with hosting - Advanced+, Premium+ and Business+ are eligible for a version update service. Just contact us to authorise an update and we'll work with you to arrange the best time and discuss the details. Note, that at this stage Chat+ requires dedicated server hosting. Therefore, we can only install it for Premium+ and Business+ accounts. The technology necessary for efficient operation on shared hosting is not ready yet and is under development by Rocket.Chat team. Meanwhile, the old chat will continue to work on Advanced+ accounts running v.7.3. If you're on Advanced+ and absolutely need Chat+, please consider upgrading to Premium+ plan. Premium+ includes an independent dedicated server optimised for DolphinPro and Chat+. 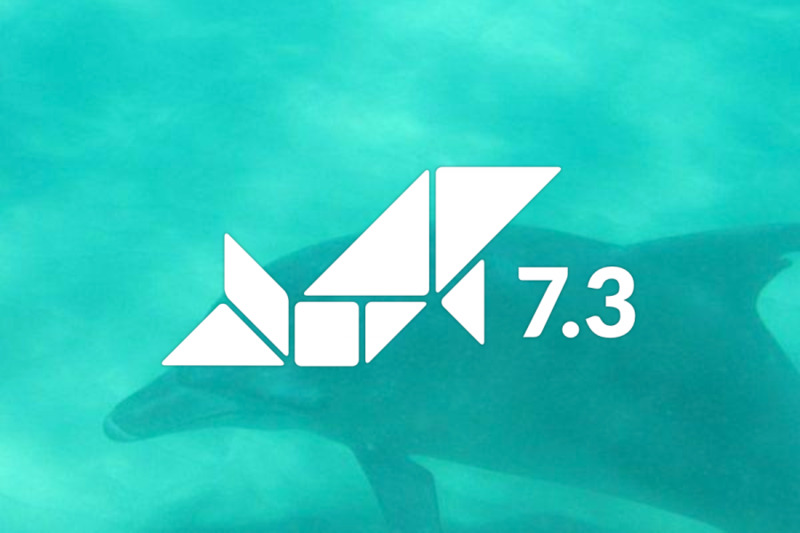 Over the next few weeks we'll be updating documentation to offer more details on Chat+ and Dolphin Connect. We also plan to update Boonex site early next week. Active work on v7.4 will commence in just 2 weeks and release is planned for 1st of July 2016. Good, many thanks to all contributers! Every thing is perfect except the mobile app. If in any way just dolphin notifications or member menu could be integrated with native code, rest of the website can easily work in webview, means nothing to be changed in dolphin website. Yes few plugins also need to be added like facebook login for native apps. Just my feedback rest you guys know better. I even asked a guy to make some changes in the app and never heard from him. but our website "insoler.com" still have the original boonex 7.1.6! I guess I must to upgrade to 7.2.0 first, then 7.2.1 and finally 7.3. I can't find "Upgrade pack for 7.1.6 coming soon" link and where can be download Dolphin 7.2? Should we upgrade Dolphin first and then the marketplace modules, or upgrade modules first and then Dolphin? It's better to contact modules authors about how to upgrade their modules. Update the Dolphin code, then the modules. Best to do upgrades on a test site before going live. If you're hosting company has a cloud service then they might provide an option for you to duplicate your site onto a temporary, limited access, web space for testing. Now to fill in the cracks, add a splash of paint, and polish the final product. Is Rocket.Chat aka Chat+ the best decision? It won't work with iOS Safari browsers, this means only Android Devices with (Firefox/Chrome/Opera) will work. Compared with actual Flash solution I gain nothing by replacing old chat with new Chat+. Also as a matter of feedback the interface of Rocket Chat does not provide a clue of what can be done with some little tiny icons. No explanations given. It used to be some text that tells what the button does, but on Rocket Chat is all point,click and see more guess. Great, great, great work ! Especially the simplified use of media and the major update to the wall is excellent.